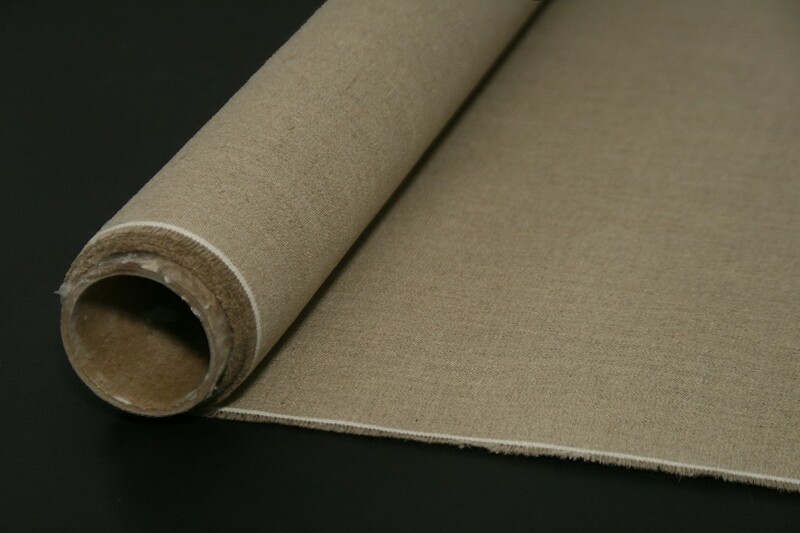 Raw unprimed linen on the roll at 86″ in width. 25 yard roll. The Linen weighs 8oz per sq yard. Minimum order - 3 yds. Raw unprimed linen on the roll at 60" in width. The linen weighs 6.5oz per sq yard Minimum order - 3 yds. Price $27.50 yd. TO ORDER, SEND AN EMAIL WITH YOUR NAME AND MAILING ADDRESS, PAYPAL DOESN;T PROCESS AMOUNTS OF $0.00.